If you are looking for a massive home improvement, you’ll most likely want to hire the most professional general contractors in Miami, FL. At Miami Best Contractor, we can manage every aspect of your project to get it completed as per your prescribed schedule. 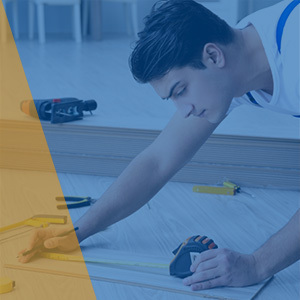 Whether you are looking for construction or remodeling of your home, we can offer comprehensive renovation and home remodeling services to get it done to your satisfaction. We are certified, full-service providers for residential and commercial projects from kitchen renovations to bathroom design and remodeling. Over the years, we’ve built our reputation for being the most trusted general contractors in the region. With our expertise and resources, we can take on the projects of any scale and meet the strictest timelines while staying on the budget. At Miami Best Contractor, we believe in building structures that can foster comfortable and healthier living. Also, we can create energy-efficient spaces that will reduce your carbon footprints. In fact, we’ve hired the best craftsmen for getting the job accomplished as your aspirations. So, we are experts in creating vibrant living and business spaces using our turnkey solutions. Each project is unique. We assign a skilled team using cutting-edge technology for real-time collaboration and communication for each project. From pre-construction to completion of a project, we undertake a meticulous approach, with a keen eye for details. There is a diligent coordination of the entire work schedule and consistent project monitoring followed throughout the process. Our team will plan, analyze, develop, and assess every aspect related to your project for a seamless workflow. We understand that any general construction work can hamper your daily schedule. Hence, we lay more focus on timely completion of the work without sacrificing the quality. Our services are competitively priced and we adhere to our exceptional work ethics. For more details related to our general contractor services, please call us today.